Is it worth it? Yes! 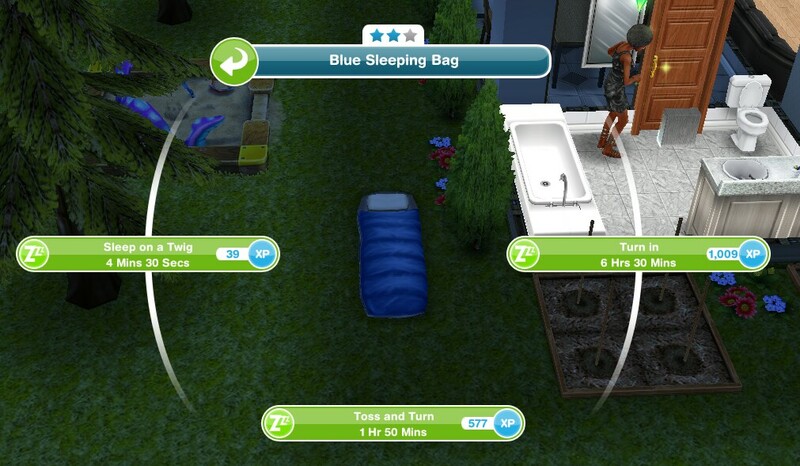 What sim wouldn’t want to sleep outside, Preteens to Seniors can use the sleeping bags. Not sure I will be spending 20SP on a rainbow sleeping bag though! 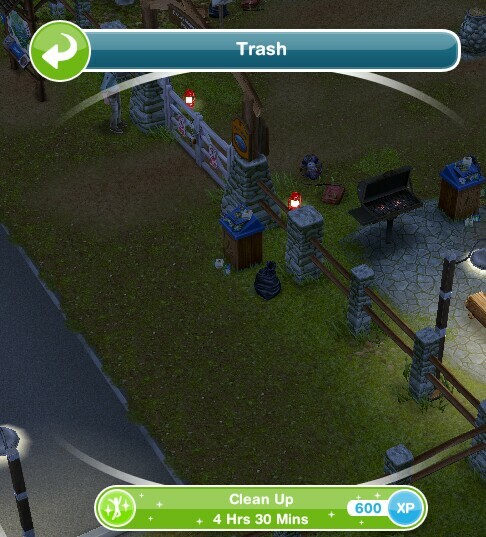 How do I send my sim to the campgrounds? What do you use to set the bait? Did you ever get your tents etc built at the campsite? You were struggling last time I checked in here (ages ago …). The ranger is still hanging around my campsite – is she at yours as well? I can’t find anything else to build. Why did Facebook suspend your account?? That is crazy! You really help so many of us with your blog. You probably keep a lot of people playing when they would normally give up. They should be paying you. I am so bummed for you that your best game got deleted. I am really going to sit down tomorrow and donate to your awesome blog. I’m glad it has helped! Hey I really like your blog. It helps me a lot! Why is the ranger still at my camp ground asking if I’ve built everything …. there is nothing left to build …… I’m so confused! It’s so odd, isn’t it? I keep thinking there’s something I haven’t built, but there isn’t. Your blog is super helpful, thank. you for all your work. I have enough money to build either the Sunset Mall or the Campgrounds. Which one should I get? I love your blog – it’s so helpful and has saved me many times! Is it possible to finish this quest in 7 days? did you use any LPs? 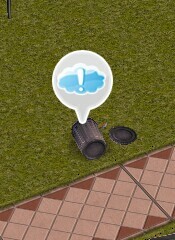 I have no neighbours in sims free play .i need neighbours what can I do? How can we get the sleepingbags if not completed in seven days? Is it possible? but like can we finish it within 7 days with a couple to spare? Hi! Useful blog indeed! But i am at the second to last task (talk with Clay) and i don’t find him at the camp? Where is he? been searching for clues for agesss now! helppp! Thanks for this helpful, amazing and incredible stuff that you post!! when I don’t have a clue whats going on in Freeplay i come and find the answer from you!! Hi, can you post the walkthrough to the puppy odyssey discovery quest? Yesterday in the park I saw one new discovery quest with orange house icon on the bridge with the fishing hobby.Which quest is that quest? FYI: I think there is a new version of this quest. 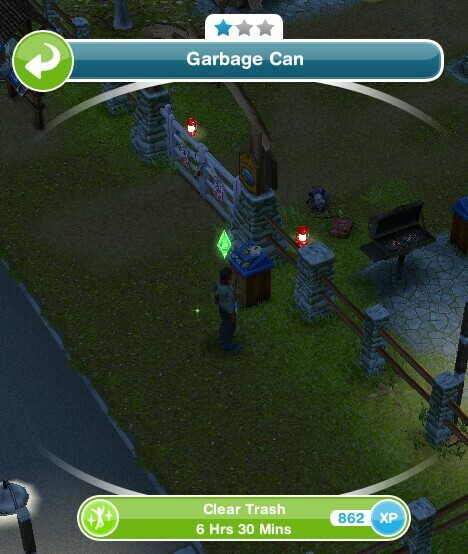 🙂 To solve the (assuming first) puzzle, I currently have three sims at the front gate of the park searching for clues in three spread piles of garbage. I’m on a third round now, with each of the three sims searching for five minutes per round. The answer to the clue is already in the post so there is no need to search. I have a question: how can i build the other side, if i didn t finish the quest? Thank you for the answer, but i don t understand…so i can to continue even if i didn t receive the prize? Yes, as long as you complete it, you only need to complete in time to get the prize, it doesn’t stop you unlocking the rest of it. Hey I’m kind of stuck in this part of the quest it is continuing to say search for clues, I won’t go past that point at all. Help? Have you clicked on the answers instead of just searching for the clues? The answers are in the post. Hi. I dont have enough sims to do a hobby each. 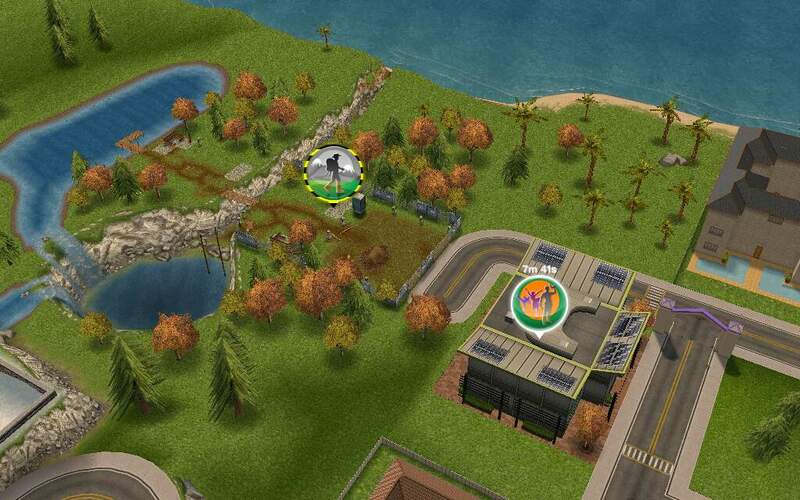 Do you ‘recycle’ the sims? Say, i finished the puppy placemat hobby and got all the items, next is lps. shall I then use him to do new quests and sacrifice his puppy placemat hobby at the highest level? i dont have anyone else doing that hobby, but for now i do not need it. im just afraid i might need something for a sudden quest etc. i have 5 cooking hobby sim and 4 fashion designer sim, 4 carpentry (because quest needed them) the other hobbies only 1 sim ea. should i recycle those i x use anymore? -Your blog has been super helpful! Click on the ranger with a sim and select the option to accept title. Hi there, I absolutely adore your blog it has helped me with this game a bunch of times! I have just completed the quest up to the point where the gate lock is now green and the quest is not showing up as active anymore. I prefer not to start the survivalist hobby until I have some more time to work on it. The hobby hasn’t started and doesn’t show up in the hobby list. Do you think it is safe for me to leave it? Like there’s wouldn’t be some hidden time count down going on in the background would there? Remember these events are not currently available to complete in the game. Do i need to complete all the survavilist badges before i can repair the bridge? Its all locked at my level 34. Yes, you need to complete that hobby to unlock the bridge. My Sim just finished watching the TV show for this quest, and I sent her to the park to talk to Ranger Clay (the next step). I tap Clay and she refuses to speak to him. No options come up when I tap him, but she waves her arms and puts up the “no” symbol. I thought maybe it was because she was hungry, sleepy, or otherwise “uninspired,” so I fed her, etc. Still nothing! I’m now convinced this is a glitch in the game…? Have you ever come across this? What do you suggest? Hi!! 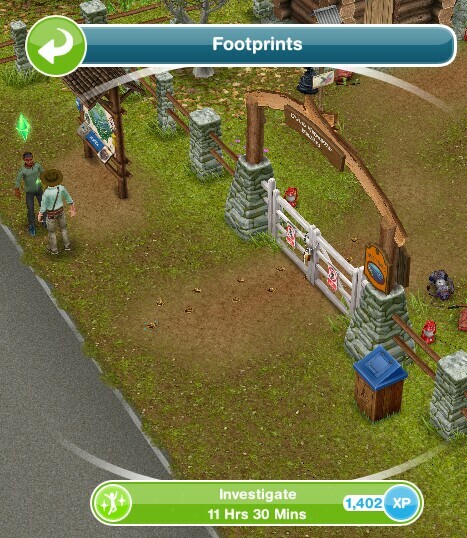 Im on lvl 37 on a previous update: The Police station. And just recently, they announced that the outdoor event are coming soon. 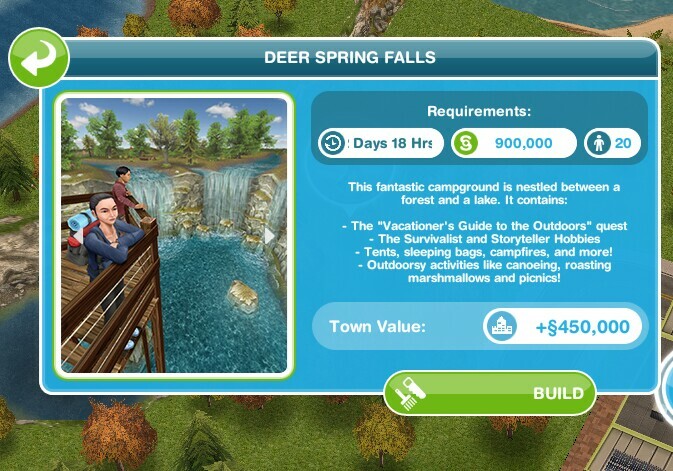 And all the requirements including building the deer spring falls and completing this vacationers guide to the outdoor quest, which I am not done. What should I do now? Can you help me? Hey! The Outdoors Event allocated me only 3 days, when its second subquest the Vacationer’s Guide is a 7 day event. That’s unfair! If the game had only given me forewarning, I would have opened the camp grounds weeks ago! I demand my time back! If you started late you won’t get the full time, it will probably be back again though one day as there have been problems with this event this time around. Thought so. If it returns, in better shape, that would be the bees’ knees! Thanks again! Hi! I am new to your blog and LOVING IT!! I was wondering if you could help-I am on the vacationers quest and at the “send sim to park to Follow new tracks” but can’t find any! Do you have suggestions? Thanks so much! Thanks! Have you checked everywhere in the park for the tracks? If they still aren’t there try restarting your device and go back to the park, if they still don’t appear you may need to contact EA to see if they can fix this issue for you. Yes! Yay! It worked! I sent a new sim after restarting and it showed up! Thank you!! That’s great! You’re welcome and sorry for the slow reply on the issue! Hi! I search on google and i found this blog! OMG 2y ago 😂. But it helps me. Thankyouu😭💐. I have to make a fancy coffee at a neighbors Snow Park. Where is that at? 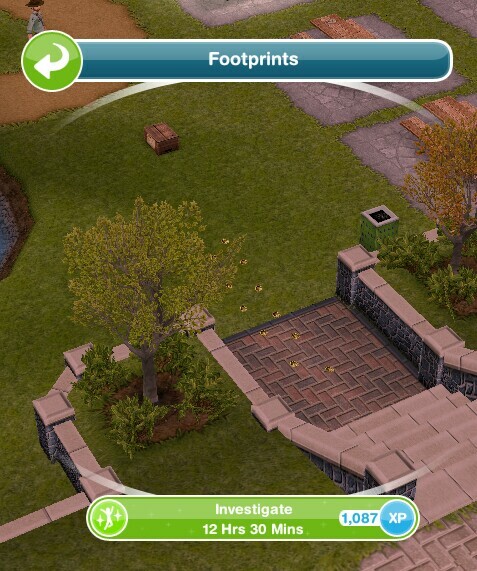 You can find the snow park on my town map: https://thegirlwhogames.blog/2014/06/26/the-sims-freeplay-town-map/ if your neighbour hasn’t built the snow park yet you won’t be able to complete this task. No you cannot start this task early. Does the Ranger in the park just stay there after i have completed the park, and unlocked everything there is to unlock? What is his purpose? He just stays there, he doesn’t really have a purpose once you complete everything! This has definitely been helpful. Now he’s investigating the Tracks. I can’t believe how long this is going to take. I’m wondering if you have to use the same SIM or can you switch to another SIM to give each other a break?